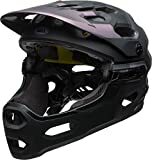 Full face helmets are generally used for downhill (DH) mountain bike riding and freestyle. What are best mountain biking full face helmets? If you’ve got something in your noggin worth protecting then a full face helmet is an essential piece of kit – even more so now we’re starting to see the real danger of concussions. In downhill, the speeds are higher and the impacts harder than any other discipline of mountain biking so you’re going to want a full face helmet. At the bare minimum, you want the mandatory CE certification on the helmet for safety but some full face helmet has more than this which is MIPs protection that helps protect against rotational impacts as well as of concussions. Fit is also key. Comfort is also a vital factor of any helmet. So, in no particular order, here are best full face mountain bike helmets available. The DiamondBack full face helmet offers total protection for when you’re shredding your local trail center. This affordable full-face MTB helmet features soft-touch padding for extra comfort and an adjustable peak to keep the glare and debris off. Multiple vents give this DiamondBack lid good breathability for when you’re climbing, and 3 different sizes mean you can get best fit. 7iDP’s updated M1 full-face helmet in this stunning Tactic finish has a lightweight polycarbonate shell and CPSC construction. The full-face M1 Helmet features a wide eye port for a broader field of vision and better accommodation of goggles. Manufactured with 17 large vents, the M1 Helmet efficiently draws in fresh air through the front of the helmet and expels the warm air out of the back. This process will keep your head cool, leaving your mind free to focus on what lies ahead. 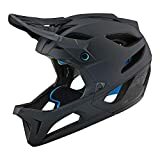 This top rated Demon mountain bike helmet is great for BMX and mountain bike riders. The helmets lightweight and has a durable injection molded thermal alloy resin, polycarbonate outer shell and comfortable EPS inner liner. The liners are all removable making it easier to wash. The helmet is a full-face helmet with adjustable visor and aluminum side screws. The Podium has 13 strategically placed vents to keep the air flowing even in the hot summer months. Take your choice of matte black or matte white with the option to add the extra Demon Team visor to add some color and liven up the look. EPS foam liner conforms to your shape for superior fit. The Podium full face helmet weighs in at only 2lbs. 2oz. Anyone who has worn a full face helmet knows exactly how hot and uncomfortable they can be, this is especially true for Enduro racers. Fox listened to racers and developed the Proframe with Enduro in mind. The Proframe is perfect for riders who have ever contemplated deciding between their half shell or full face helmet. The Fox Proframe helmet is the lightest and most breathable full face mountain bike helmet Fox has ever created. Designed to perform at the highest levels for aggressive all mountain riders and enduro MTB racers, it packs DH certified protection into a superlight shell via Fox’s patent pending, fully integrated chinbar. With 15 big-bore intake and 9 exhaust vents, the Proframe MTB helmet offers open face level airflow and breathability to keep you cool on tough assents; and once you reach the top, gives you the confidence to ride to your limit on challenging descents. Fidlock Snap helmet buckle provides quick entry and exit with maximum security. The Giro Switchblade MIPS Helmet is a downhill certified full face helmet with a removable chinbar. Everything about the Switchblade is optimized for the descent which is why it’s certified to the highest levels of protection standards with and without the chinbar. The Matte Black Rampage Comp raises the stakes in the mid level full face helmet market. Pulling the Championship winning formula of the class leading Rampage Pro Carbon into a super light fiberglass shell allows Fox to keep it as competitive in the market as it is on the racecourse. The O’Neal Fury RL II Helmet is the perfect full face bicycle helmet for those that like to go crazy on the mountain. Descend down the most technical trails like a boss with the TheOneal Fury RL II Helmet. It is a light-weight (950g) full face helmet with a sweat absorbing and removable, washable inner liner. It features many vents and channels that are strategically placed throughout for improved airflow. It comes with a detachable go-pro mount for those thrill seekers that wish to record their gnartacular shred sessions and share them with the world. A cross-over, full-face helmet. The integrated VORTEX ventilation channels guarantee continuous air circulation and therefore make the Xact an optimal solution for Enduro riders. The specially implemented shape gives the helmet additional strength and durability. The ergonomic padding system provides a high degree of comfort. Ergonomically shaped jaw padding guarantees perfect comfort and a perfect fit, and the EPR (Emergency Padding Release) system, integrated in the padding provides quick removal of the jaw padding in the case of a rescue. The Xult helmet series fulfills the European safety standard, EN1078 as well as the American CPSC and ASTM for DH. Handlaid carbon fiber shell construction Excellent cooling system with 5 consumption vents and 10 huge exhaust vents permit extra airflow then standard motorbike helmets. The T3 Carbon, The following era flagship helmet for THE-Industries. 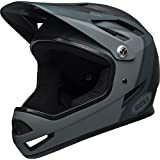 Iconic THE styling and high quality mixed with a up to date twist convey you probably the most perfect taking a look helmets in the marketplace these days. However what is the element of getting a super taking a look helmet if you do not really feel secure? Should you DO be ready to get scorching sufficient to sweat on this helmet, the detachable and cleanable liner/cheek pads pop out in a snap and set up without difficulty. Most brands have different types of bike helmets in the market today. Few people would choose to ride in a car with no seat belts. So why hop on a bike without a bike helmet? Helmets simply make sense in all riding conditions and some areas even have laws requiring them. A bike helmet protects your head from injury if you fall off your bike. A good helmet will provide a balance of coverage, ventilation and comfort. But a good helmet must also be lightweight, well-fitting and adequately ventilated if it’s to be comfortable for long hours in the saddle. Like just about everything to do with mountain biking, there’s a myriad of helmets on offer out there and they all with hundreds of different features, shapes and styles. So which one is for you?